Behind the scenes in our S.O.S.T. 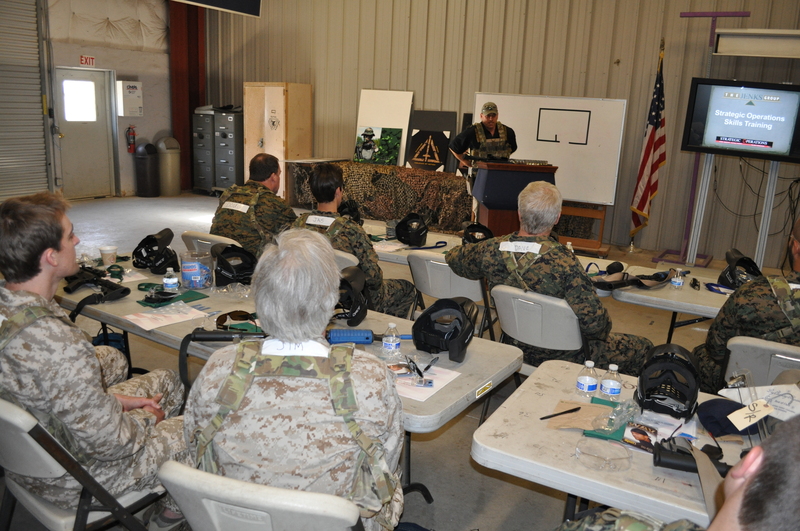 program, participants are learning new skills that will apply to their Mission. Taught by US Navy SEALs, each of these skills are transferable to the workplace. The only way you can learn how is to experience it yourself. An experience you will never forget, as you push yourself out of your comfort zone. How do you define strategy? Do you know what initiatives are necessary for achievement? Is each team member unconsciously competent in performing their responsibilities? For the purposes of this skill, we define strategy as the overarching methodology utilized to meet the needs of achieving the mission. We form these strategies into initiatives: those activities that must be performed in order to gain traction and give the mission its mobility. If our mission or goal is to take the beach, we may deploy several different strategies to accomplish this goal. We could drop in from the sky, we could swim up to the beach, we could land a Zodiac on the sand, or we might drive up from the land side. Each strategic initiative must be assessed for relevancy and risk as well as probability of outcome. Each approach must be carefully thought out with assumptive reasoning, as much intelligence as can be gathered, and as much experience as the individual team members might have. With the collective in hand, we must assess our skills as a team and determine what approach will best achieve the mission. Determined by the top ranking officer. In business, this is the CEO working with the senior executive team and the Board. Determine Ops Force and Building Layout while gathering any and all relevant intelligence that could affect the mission or the team. In business, this is assessing our structure from facilities to environment, as well as gathering our reporting metrics for a look-back and a plan forward. 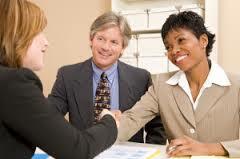 We might also look at our competitors and assess their market position. Many times in the business community, we find ourselves reacting to information that may not be factual. The importance of having vetted factual information on which we can act successfully is of paramount importance to the strategy we’re trying to deploy and keeping our commitment constant to advancing our organization in a game-changing manner. Reacting to information both internally and externally is only a surety when we have vetted information that allows us to prepare adequately for the natural and reasonable risks in our path to achievement. Based on the mission goal, the reconnaissance intelligence, the team capabilities, the team “kit,” and the experience, skill, and education of the team members, design the strategic initiative(s) necessary to achieve the mission goal. Remember to utilize all the game-changing skills you have learned thus far. Once you’e outlined your strategic initiatives, carefully assess each one and select only two initiatives out of all the concepts discussed. 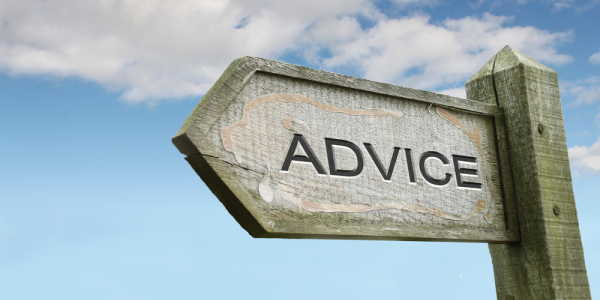 Be sure to discuss all suggestions before proceeding to the next step. 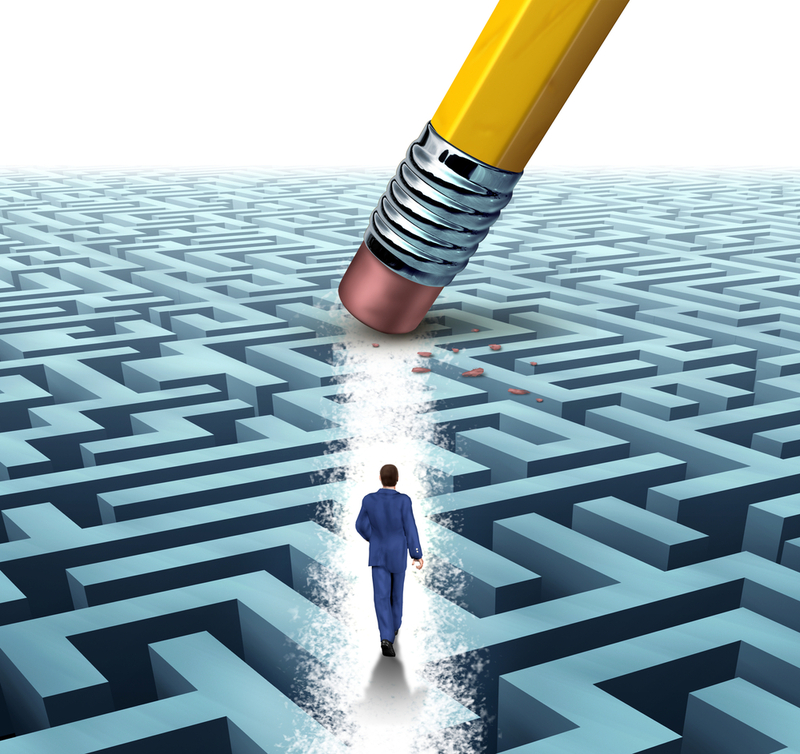 State the assumptions that the team has made in designing their Strategic Initiative(s). The Mission Domino is the outline of all the specific actions that must take place in order for the strategic initiative to be effective at achieving the mission. These may be individual actions or team actions; situations or outcomes; etc. This is where the devil in the detail makes the big picture look easy. Again, remember to use all of the game-changing skills you’ve learned thus far. Reviewing your initial Strategic Initiative(s), Assumptions, and the Mission Domino, consider any and all activity that may present risk. For the purpose of this exercise, consider risk in two categories. First, what is the probability of the identified risk happening on a scale of 1 to 5 with 1 being of small probability and 5 being a show-stopper? Second, assess the impact of the threat should it occur, on a scale of 0% to 100% with 0% having no impact and 100% being a show-stopper. Identify and discuss all potential risks. Once identified and assessed, create a mitigating response to each threat. 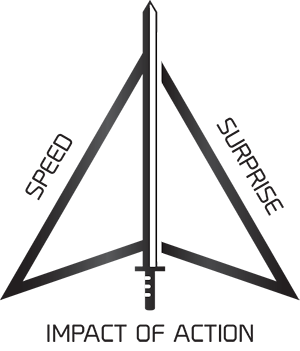 Identify your training needs based on the Mission, Vetted Facts, Intelligence, Strategic Initiatives, Assumptions, Risk Assessment, Mitigating Response(s), and Team strengths. 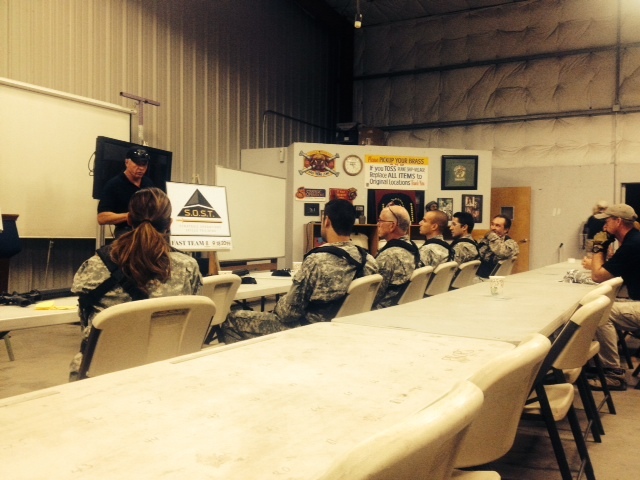 Advise your Instructors of any additional training needs you have. Could your executive team explain the corporate mission to a complete stranger? How do you deal with team members who are willing but unable? What about those who are able but unwilling? The idea of “subjugation of self to mission” requires some definition of terms. For the purposes of our work, we are defining “subjugation of self to mission” as the understanding and agreement that the goal we want to achieve is of greater importance than the individual team members who are charged with the task of executing the strategy it takes to achieve the goal. One should not assume that the individual is not important in this arena; quite the contrary. The value proposition of the team is based on the collective contribution made by all members. We often toss around the axiom that the “sum of the whole is greater than the sum of the individual parts,” and particularly in Military Special Ops such as our US Navy SEALs, the axiom becomes a foundational pillar of the strategic approach to mission. All team members have a role that is strictly defined within the mission, a responsibility that is non-transferable, the authority necessary to complete their specific task, and the training and support necessary to be successful. In this scenario, if an individual is incapable of completing their piece of the assignment, it does not mean the mission fails; instead, it means another teammate must complete their task as well as yours. -Ed Jenks, Sr Strategist for The Jenks Group, Inc.
What constitutes speed in your organization? Do you have the advantage of surprise? Are you aware of the game-changing impact of your actions? S.O.S.T. is an educational experience for executives who want a new, more effective approach to achieving corporate goals. Let us teach you how this can be applied in your organization. 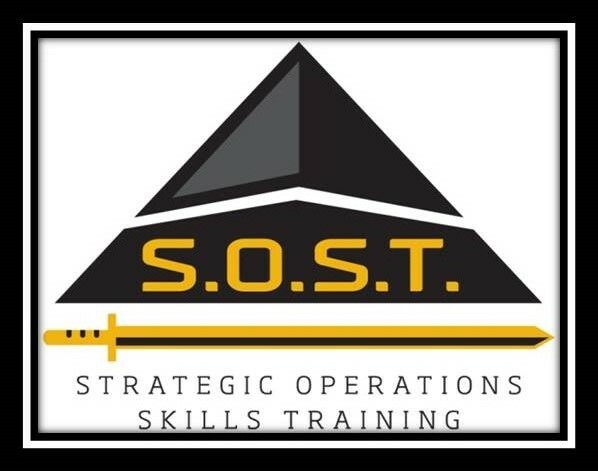 To learn more about the Strategic Operations Skills Training (S.O.S.T.) 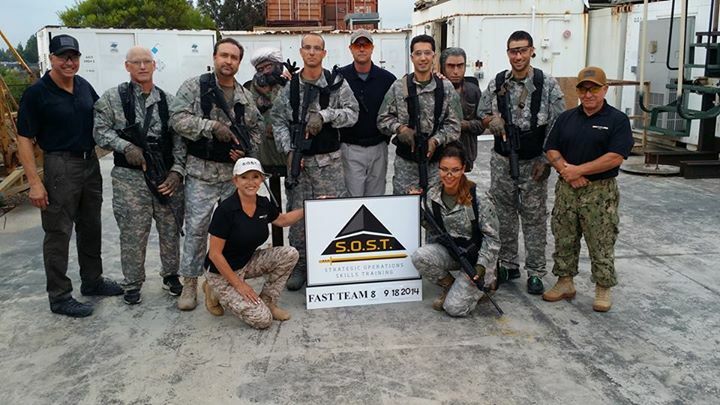 go to http://www.sosttraining.com and find out how this unique program can improve your organization when your team learns the 6 Game-Changing Skills taught by the US Navy SEALs and The Jenks Group instructors. I think it is a safe assumption to say that business has never been tougher, more difficult to plan, and less predictable than ever before in our Baby Boom, business lives. Many Chief Executives have done away with long term planning and instead have created the rolling eighteen month plan that they feel allows them to make faster adjustments on the fly. While this might seem reasonable on the surface, it may carry some unexpected performance challenges over the course of time. I was in a meeting with a very solid team of Senior Executives a few weeks ago discussing some traction issues they were challenged with as business was flat-lined and The Board had started to dig into operations a bit more than before. The Team, normally aggressive and engaged, were frustrated and even a bit noticeably depressed. We stopped the normal business process and just talked for a while about things in general when the VP of Operations blurted out that he had no idea where the company was going anymore and had no idea how to contribute. They no longer had team goals and the company had done away with any formal planning process in favor of the fast-on-your-feet, plan in the moment management style. Even the CEO was fidgeting in his seat as it had been his idea to try something new to deal with the uncertainty of the business climate. Good CEO’s know that planning is important for a host of reasons; Great CEO’s know that over the course of time, planning and strategy will win the day more often than not. There is however, a way to have your cake and eat it to and even eat it on the run if you have to! If we are to get the gears turning again and play out some of the uncertainty we all deal with on a daily basis, there is nothing better than a solid dose of planning and strategic thinking. The difference is in the way we plan and the way we execute; that’s where we have a lot of room to grow. If you hired the very best people you could, and have surrounded yourself with “game changers”, there is one thing you need to understand. Strength needs purpose. Having a strong team is wonderful; having a strong team with a goal makes you unstoppable. There are three basic concepts that can help you take some of the uncertainty out of the future and get your team going in the right direction with purpose. First, bring economics into your culture; Board Meetings, Executive Staff meetings, general staff meetings, lead the discussion. If you do not know a lot about economics, see your Chair and ask for help because it’s not about your financial statements. I follow three Economists on a regular basis and I have to tell you, they bring hope, clarity and continuity to your world. Pick someone you like, someone you can understand, and someone who has a strong track record over a long period of time of solid predictability. Working with your key executives, develop an economic outlook that allows your team to develop their respective budgets to a tolerance of three percent +/-. That’s a six point split and should be able to cover most anomalies you could run into. Second, get the team back in the saddle and give them meaningful time to think strategically about the economy, their business, and their industry. The day-to-day grind is hard on people and in the kind of weird space we are in right now, they need to break away from the constant barrage of texts, emails, and people challenges and get up on top of it again. As a CEO, set the direction of the organization, and also those timeless goals that create endearing culture and allow a team to focus their strength. Set the stage with your goals, and have the team develop multiple strategic initiatives by which to achieve them. This allows the team to select those initiatives that have the highest probability of being successful and leave the others in the war chest so that if things change they already know what to do. Third, be relevant, always be relevant. As a CEO, you need to be sure that you are relevant. Are you deepening your relationships and are you out there finding out what’s going on? Is your Board relevant? Do they understand your business and are they bringing relevant value? Are they helping you develop yourself as a “game changer”? Is your team relevant? Are you helping them develop “game changing” skills? If we are to get things back on track, we must not be afraid to step on a moving machine, and do so with flawless grace. Ed Jenks is a 25 year veteran of the C-Suite having served as CEO in multiple turn-around management positions as well as a Master Strategist facilitating organizational planning for mid-tier companies. Jenks is the author of CEO: Point Blank, and a Principle and Senior Strategist at Solana Beach based TJGI Consulting.